英会話講師のキャリアアップ・ジョブコラムShow posts in this category. 英会話講師の仕事とは？Show posts in this category. 英会話講師の働き方インタビューShow posts in this category. 英語の先生になるにはShow posts in this category. 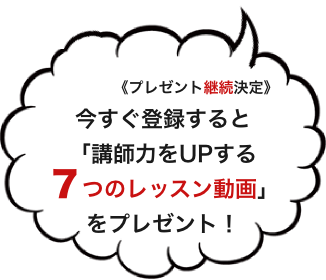 英会話講師のスキルアップShow posts in this category. モデル英会話レッスン動画Show posts in this category. 英会話指導法のコラムShow posts in this category. 英会話講師のQ&AShow posts in this category. 英会話講師のお役立ちサイトShow posts in this category. 英語指導法・英会話の教え方アイデア集Show posts in this category. TOEIC/英検/検定試験の教授法Show posts in this category. スピーキング/リスニング指導法Show posts in this category. ライティング/リーディング/文法指導法Show posts in this category. レッスン準備/カリキュラム作成/宿題フォローShow posts in this category. 発音・フォニックスの教え方Show posts in this category. 英会話講師のライフワークバランスShow posts in this category. 英会話講師の仕事と家庭の両立法Show posts in this category. 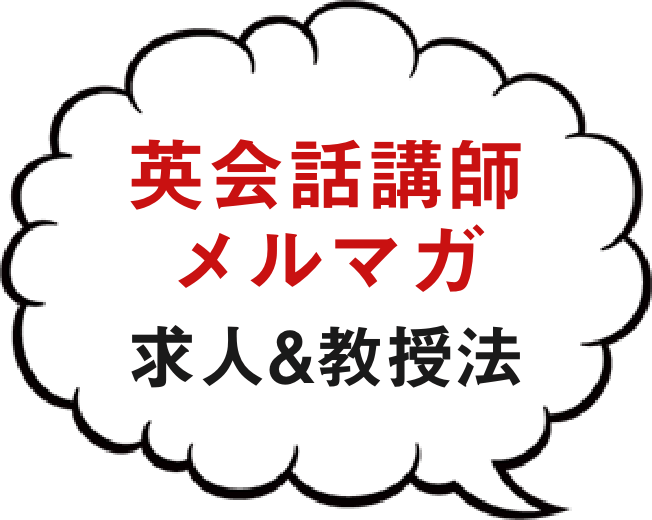 英会話講師メルマガShow posts in this category. 英語教育ニュースShow posts in this category. 研修・ワークショップ情報Show posts in this category. 英会話講師の仕事を探すShow posts in this category. 仕事/教える内容Show posts in this category. TOEIC講師Show posts in this category. オンライン英会話講師Show posts in this category. その他の英語講師業Show posts in this category. 事務/営業Show posts in this category. 企業英語研修講師Show posts in this category. 児童英語教師Show posts in this category. 塾講師Show posts in this category. 大人向け英会話講師Show posts in this category. 大学 英語講師Show posts in this category. 英検/資格対策講師Show posts in this category. 英語コーチShow posts in this category. 勤務地Show posts in this category. 信越・北陸Show posts in this category. 近畿(関西)Show posts in this category. 業務形態Show posts in this category. バイト（週10～20時間）Show posts in this category. バイト（週10時間以下）Show posts in this category. バイト（週20～30時間）Show posts in this category. バイト（週30時間以上）Show posts in this category. 正社員Show posts in this category.